Venues spend hours each week compiling live sports schedules and updating websites. Save on labour costs by automating the entire process. Personalise a sports calendar that resonates with your customers sporting tastes and promote it brilliantly across your digital touchpoints. Easily spot relevant, peak sporting periods in advance then promote and roster accordingly. Maximise your wagering commission by showing the best live sport. We’ll help you set up your own tailored live sports schedule that resonates with your demographic. Broadcast or event changes update automatically. 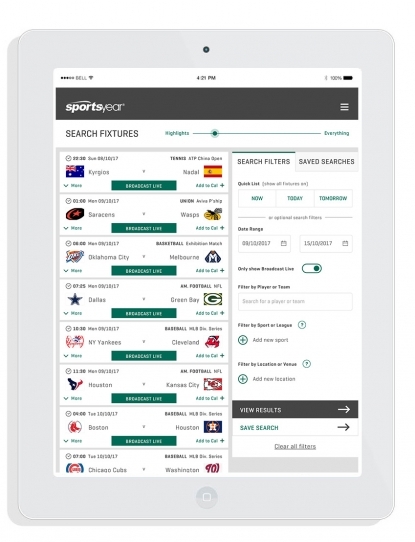 Sportsyear allows you to sync your schedule to your website for customers. Add specials and quickly export personalised promo images for social media use. An easy to follow live mode is available for floor staff. Help them keep your customers engaged and track broadcast information. Easy export feature for planning. Arrange a time with us to show you how Sportsyear can save you hundreds of hours a year, boost turnover and increase customer satisfaction. Co-Founders Daniel Giorelando and Patrick Galloway have a combined thirty years working in media, reporting on the sport that your patrons love. Over the past decade they have used their expertise to develop Australia’s leading global sports calendar.